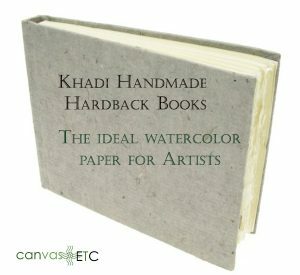 Best Watercolor Paper Book | Khadi 13x16 cm White Smooth | Canvas Etc. When a true artist needs paper for their craft, they have been reaching for one source for their work. This source is known for exceptional quality, ease of use and beauty in the finished work. 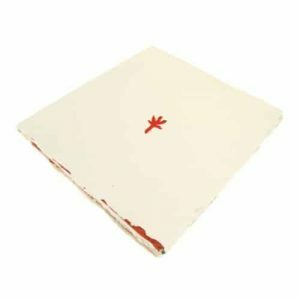 This paper is Khadi paper – the best watercolor paper imaginable. 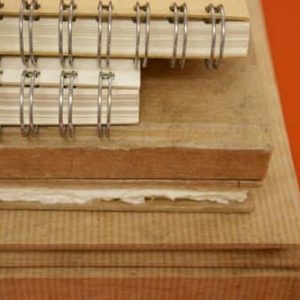 Our 5″ x 6.5″ handmade hardback Khadi books are the perfect gift for your watercoloring, sketching, and drawing artist friends (and for yourself, of course!). 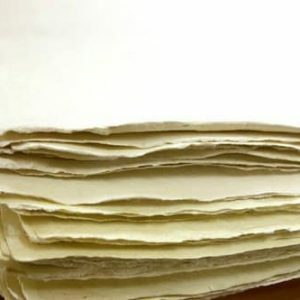 Continue reading to learn more about the unique paper that is Khadi paper. 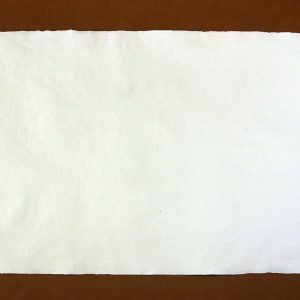 While Khadi paper is known for being some of the best watercolor paper you can find, not many people outside the art world know what makes this paper unique. To the average person, paper is paper, right? Well, ignorance is bliss, but there is power in knowledge and experience. 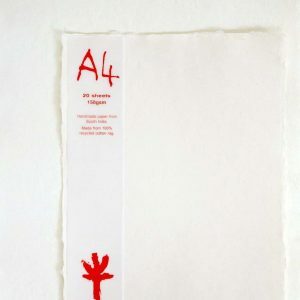 Khadi paper is a completely different type of paper for artists. Normal paper, like what you might send through a home use printer is made of wood pulp. 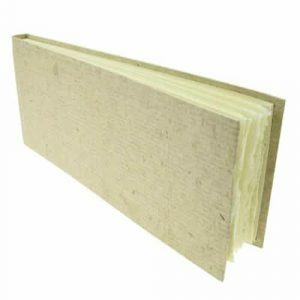 This wood pulp is harvested from trees, bamboo, hemp or even flax. Because these raw materials are made from plants they contain cellulose and lignin. Lignin acts like a kind of glue. It holds the cellulose together. Paper is made by washing away the lignin. After it has been washed, the remaining cellulose can be reformed. The remaining material is mixed with chemicals and turned into what you know today as a sheet of paper. 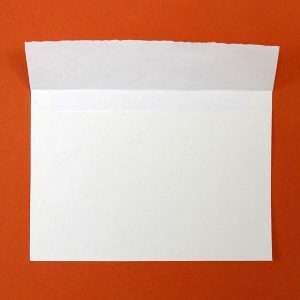 Paper can be made in practically any shape or size or thickness. Paper manufacturers also add dyes for making colored paper or other chemicals to stabilize the paper. This is fine for xeroxed copies, but some people prefer to not have chemicals in their paper. Processing Khadi Paper is a very different process! While on the surface, producing Khadi paper might seem similar to making regular tree pulp paper. Yes, Khadi paper and tree pulp paper are both washed, but that’s the only real similarity. For starters, traditional Khadi paper is not made from tree pulp. There has even been much criticism lately about cutting down our natural forests for paper or lumber. Khadi paper makes use of a much more renewable material. This artisan paper is made of rags. This is why it is referred to as rag paper as well. Often times this paper is made of old t-shirts. For many environmentally conscious consumers, the fact that Khadi paper repurposes a used material is part of the allure of it. 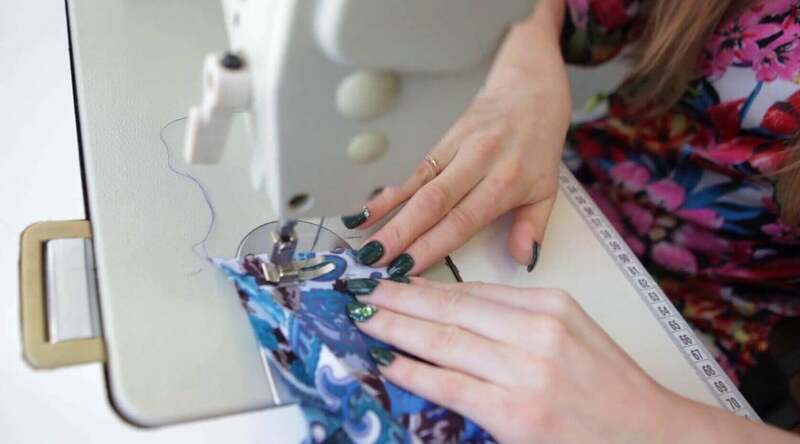 Knowing that something like clothing has come to its end of useful life, and that it is being turned into something of use rather than being thrown out is a nice bonus. 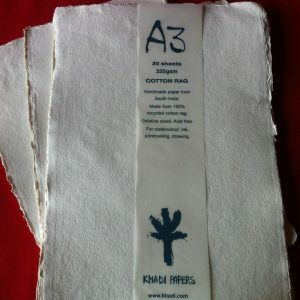 For artists, the fact that Khadi paper is also acid free is even better. Being acid free makes Khadi paper the best watercolor paper because it will not effect what is painted. 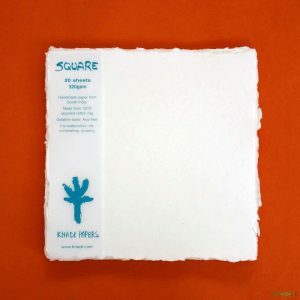 Many artists choose to use rag paper because it is one of the best watercolor papers available. But this special paper has found use in other industries as well. 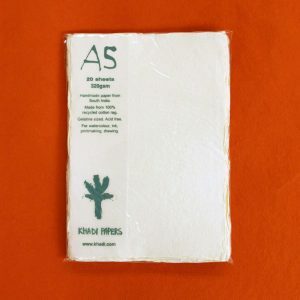 Because rag paper is made without the use of chemicals, it is extremely stable. This is why it is commonly used to print currency. Rag paper has also found use for archival documents. Many government agencies worldwide use rag paper for important documents. Rag paper resists deterioration and distortion, so it is the perfect choice for these documents. 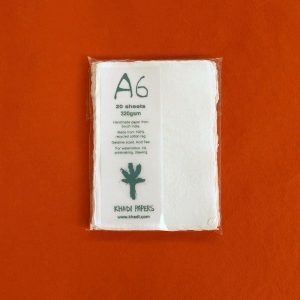 This paper is pressed to different grades denoting the percentage of cotton that is used. While the paper is usually chemical free, rag paper rated at 100% can contain acid. So if you’re using it for important documents, be sure to check before using it for your important documents. 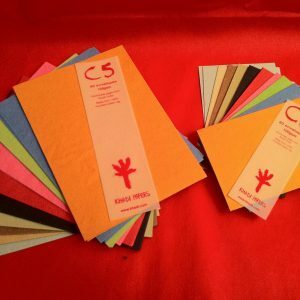 Khadi paper has become known as the best watercolor paper for good reason. 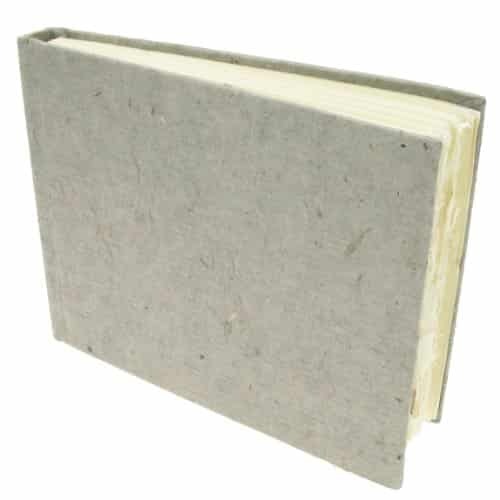 The handmade nature of the paper means that each book is unique. Actually, each page is pretty special too! These books are not mass produced. They have been made by paper artisans to me used by artists. Not uniqueness of these books comes from them being handmade. 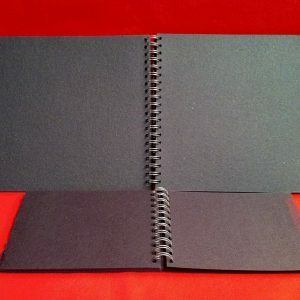 Some Khadi paper books can have a rough finish that is great for artists who like to use wet-on-wet techniques. If that is not your style, many painters choose to start with a gesso as a base coat. This can help the paper resist being so “thirsty,” as people have called it. Because the paper is sized at the pulp stage, the smooth finish paper can also resist moisture. This works well when you don’t want your watercolor to soak into the paper. While Khadi paper is regarded as the best watercolor paper, it has also found use in many other mediums. People enjoy using oils on Khadi paper. Though, an acrylic gesso is a good starting point to make a more uniform surface. Many people also choose to forgo any gesso and just use Khadi paper as-is. It all depends on your own preference and what your planned end result it. Even artists who do not paint have expressed their enjoyment of using Khadi paper. It has become an excellent choice for those who do ink, pencil or even charcoal drawing. 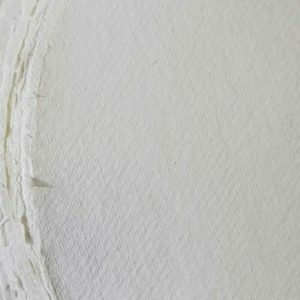 One of the things that artists continually comment on is the unique texture of Khadi paper. After being used to using materials like canvas or even mass produced watercolor paper, artists fall in love with Khadi paper. 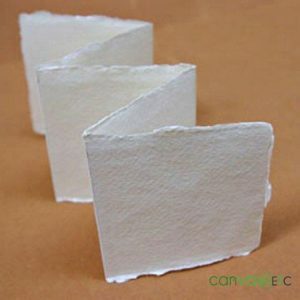 The surface of handmade paper naturally is nonuniform. This has lead to what many artists call “happy accidents”. The small imperfections of the paper lead to some spots that are higher or lower than other, some spots are thicker or thinner. This leads to the paper taking on a kind of life of its own. The unique texture of Khadi paper is something that gives the art drawn on it a kind of living, breathing attribute. It’s certain to enhance any art that is drawn or painted on its surface. 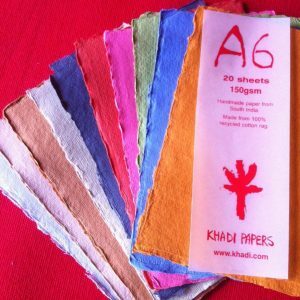 Khadi paper is a very particular choice. Artists also make a deliberate decision to use Khadi paper. This paper come in many different styles and weights. Normally it comes in either 100lb, 140lb, or 300lb weight. The different weights often correspond to the thickness of the paper. Thought, this is not always a rule. Really the weight tells you how much 500 sheets of the uncut paper would weight. 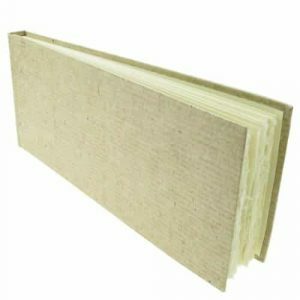 With Khadi paper, because it is handmade and each page is different, these measurement can only be used against other Khadi paper. So, in other words, don’t measure Khadi paper weight against regular paper. If you’re planning to use Khadi paper for charcoal or pencil drawing, we would recommend a lower weight. 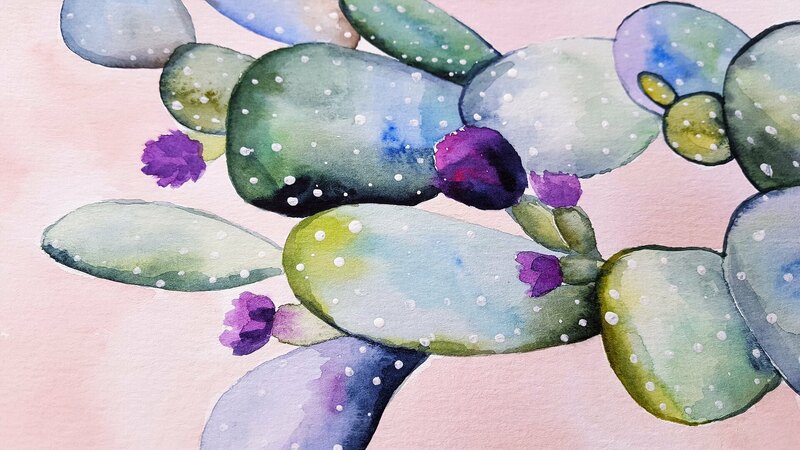 If you are doing oils and plan on using a gesso, a middle or heavier weight would be best. And if you’re looking for the best watercolor paper, a heavy weight is usually recommended to help soak up your work. Of course these are just recommendations. Your work is as unique as you are. Feel free to experiment and find what works best for you! Canvas ETC works hard to procure only the best materials for artists. 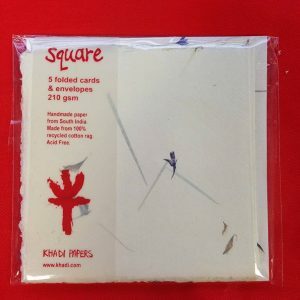 We carry Khadi paper is all sorts of sizes, weights, and even shapes! This flexibility allows your art to be individual and special. If you’d like to learn more about our selection of Khadi paper or about ordering, contact one of our experts today.